Whatever belief is out there— “Practice makes perfect”, “Perfect practice makes perfect”, or “Practice makes permanent”— they all seem to focus on similar points: we, as humans, can get better and solidify our behavior with practice. Obviously, we aren’t really going to be perfect. And, in actuality, even habits can be altered from the permanence seemingly embedded in repetition. Instead, perhaps the thought is what matters here— no matter what the endeavor, people can improve with practice. This is where educational role-play comes in. With Health Education in particular, student social and mental health development requires time to progress and mature. It is our place to facilitate inter- and intra-personal wellness, among many other skills, and it would be negligent to assume those can develop without guidance, modeling, and practice. To put it in perspective, if you’ve ever presented at a conference, spoke at a curriculum night, or simply taught a lesson for class, you know how confidence improves with repeated rehearsal. You also know how outside feedback can help with progress. The same is true with life skills. Students gain confidence through rehearsal and feedback. Instead of thinking on the spot during a potentially stressful or demanding situation (which of course might be quick-paced and laden with impulsivity), teens can fall back on ingrained dialogue and informed opinions of which to make the healthiest decision in any given scenario. The youth of today can then grow up to be the informed, mindful, healthy adults of tomorrow. When promoting life skills, teachers have an important role to play themselves— to allow students to experience personal growth through practice. Choose a style of role-play to best suit the goals of your lesson. Text-based roleplaying can take place on paper or online and focuses on writing within an expressed role. Roles can be assigned or chosen, depending on the lesson. Students are encouraged to write in the voice of their defined character role, making statements and decisions based on said role. Live-action roleplaying takes place face-to-face. Students interact with others through talking, acting, and occasionally conflicts and arguments. Teachers provide starting prompts with open-ended “scripts” in small or large group settings, focusing on the decision making process and building necessary knowledge through practice. Taking part in a civil debate is a great communication builder. Set up two sides to research a topic and develop an opinion. (More than two sides are possible but may convolute the debate.) Organize roles within each side as needed, have groups develop a speaking order, and encourage empathy and conflict resolution. Also assure students that stances are not permanent— opinions can always change in life. A challenge-based activity can be used to bring out simple roles: leaders, contributors, and observers. Teambuilding activities lend themselves well towards shuffling and redistributing active leading roles to encourage students to communicate and contribute ideas, work through stress, develop a confident voice, etc. New challenges can be created mid-lesson. For instance, muting a vocal student for a brief stint during the challenge lesson can provide others a chance to take the spotlight and may pose additional challenges worth reflecting on afterwards. Narrating a scene or story can be done in-person or through text. This focuses mainly on verbally describing characters’ actions. This isn’t traditional role-play, per se, it is still powerful to describe a situation in order to safely simulate future experience. 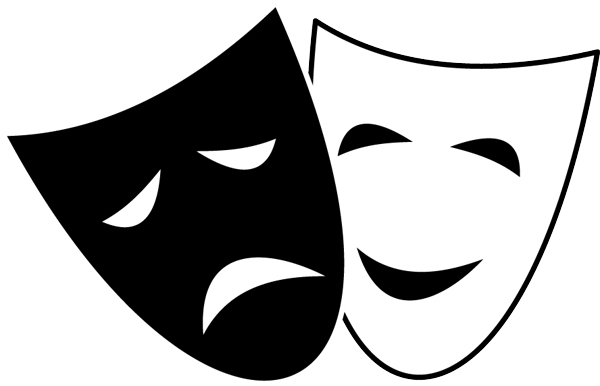 Narrating tends to work best for sensitive topics or for students who don’t enjoy acting or being in the spotlight, since there remains a disconnect between the narrative and any characters and actions. This can be done in an oral format, where the scene is made up on the spot in a small group, or a written format, in which a student-created narrative scene is a useful form of journaling. – Reflect as a large group. If role-play was done in smaller groups, the variance of feedback from multiple conversations can be beneficial to the entire class. Be sure to focus on any health skills that the lesson aims to develop. Post-activity, double-up on these as much as possible with additional teacher recommendations as needed. – Separate the scenarios from the students. Debriefing brings the focus back on the skills and leaves behind any conflict or debate. Roles were exactly that: just roles. Students need to be reminded that they are themselves again going forward . Most of these examples are aimed at the middle school level, but the basic concepts could definitely be expanded for high school teens. Some aren’t as in-depth with roles as others, so that’s where teacher discretion/creativity comes in to play. A classic group work activity with an easy link to Health Ed. Simple situations with various outcomes. A teambuilding take on varying personalities, decision making, and conflict resolution. Examining food choices and developing a PSA. Compare and contrast life between eras. A look ahead at possible stressors and influences on health. Pro or Con argument in regards to the legalization of recreational marijuana. A full-on investigation, with help from a police resource officer. Scenarios involving teen relationships and sexuality. Was there consent? What’s your favorite lesson that involves role-play? Is there a specific skill or unit that best lends itself towards practice through role-play? Have you found success (or failure) in a certain type of set-up versus another? Will you share any other ideas or examples? Other examples and lesson ideas are shared throughout the school year on social media. Join the conversation! ← Classroom Connection: Video Clips in Health Ed.